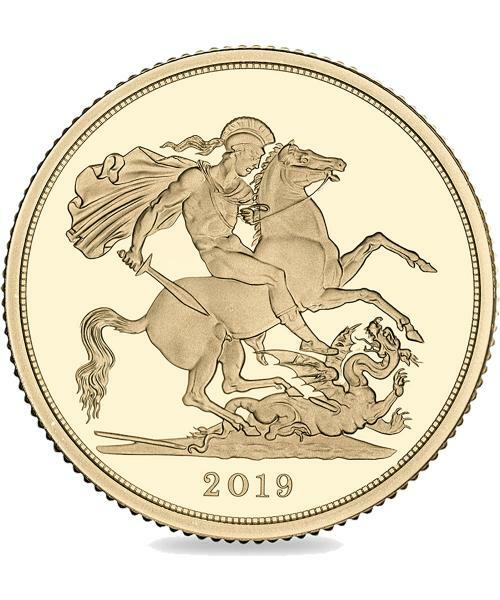 2019 Bullion Gold Sovereign with a deluxe case inc. 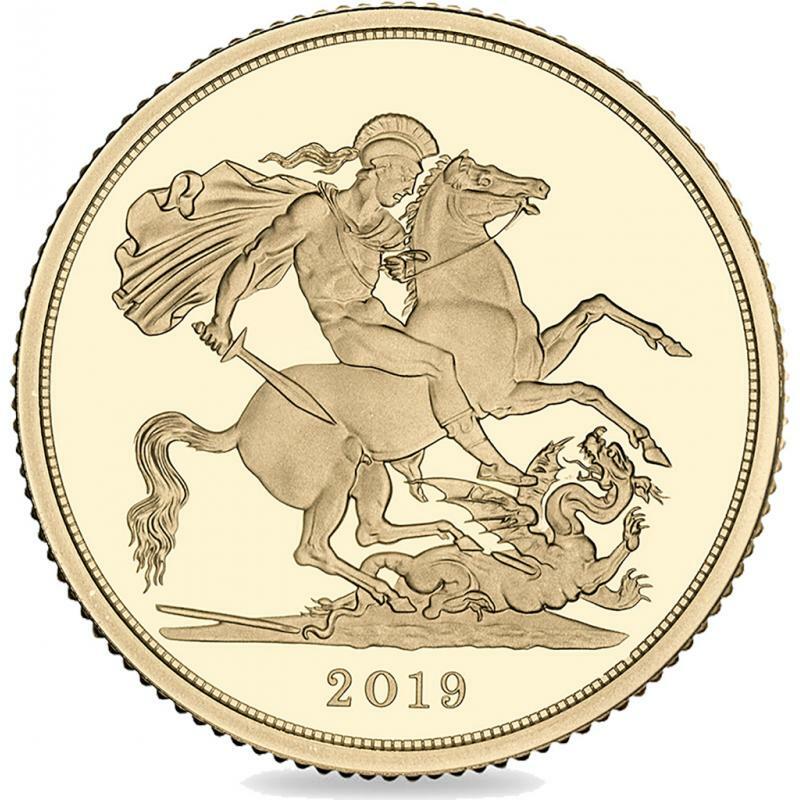 The Royal Mint's latest bullion gold sovereign for 2019. Struck in 22-carat gold, this sovereign features an original design that has continued to be used on gold coins for over 200 years. Benedetto Pistrucci's iconic masterpiece, the legendary Saint George and the Dragon design. A tax-free coin that has a total weight of 7.98 grams. 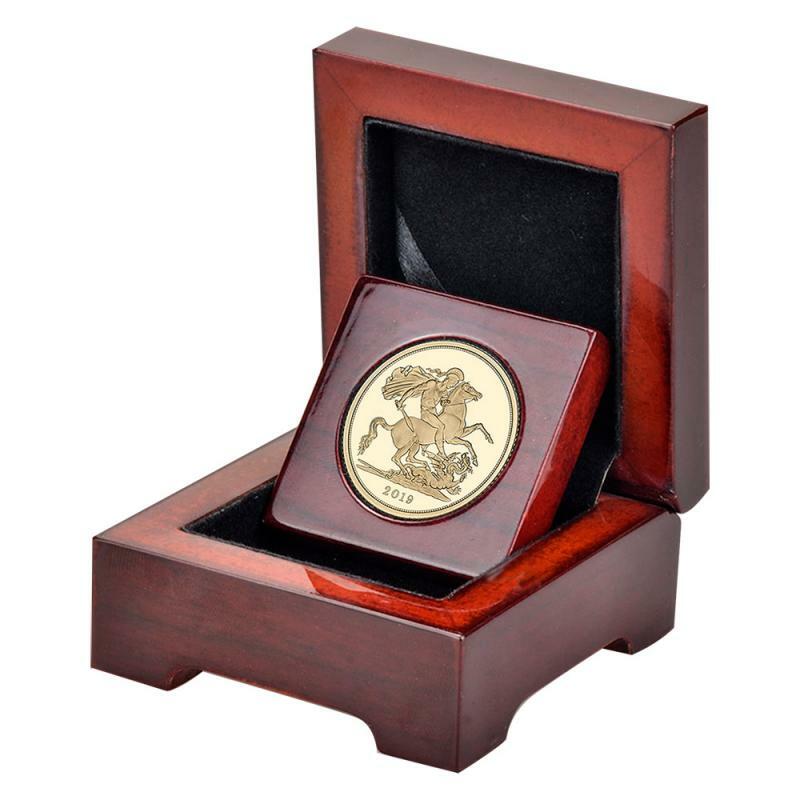 Each coin purchased will come housed in our very own unique, deluxe presentation case. The gold sovereign coin has been around for over 500 years. First introduced during the reign of King Henry VII in the late 15th Century. 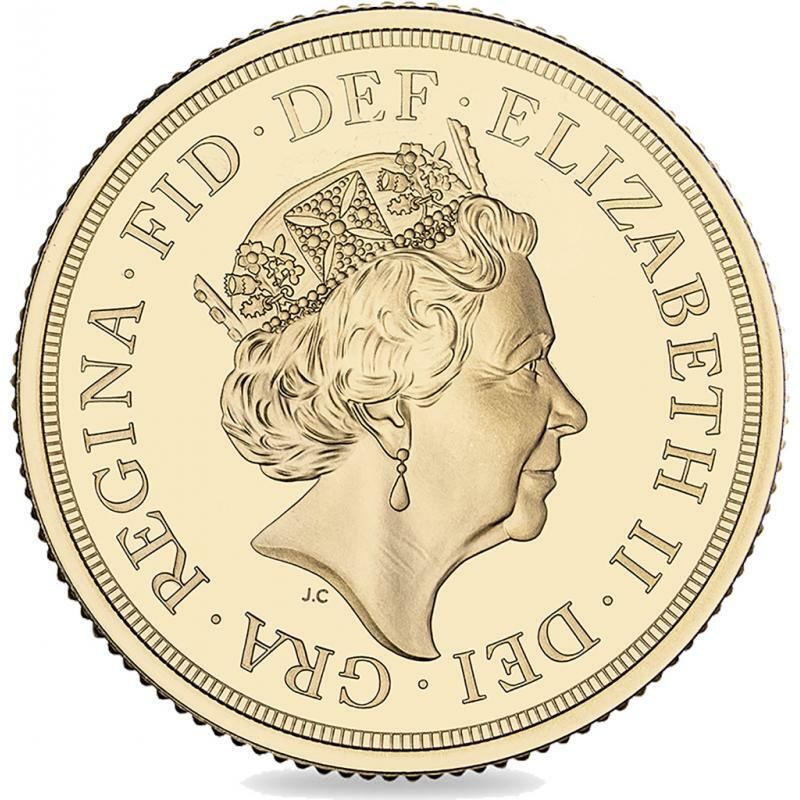 Produced by The Royal Mint, the gold sovereign coin has become a big part of British History. Issued in a range of finishes which can sometimes increase the gold sovereign value. Many investors buy Gold Sovereigns as this coin is exempt from any VAT and Capital Gains Tax in the UK.